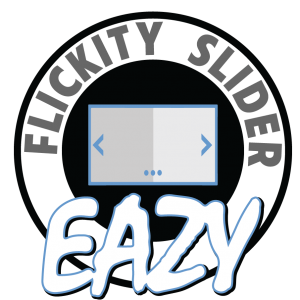 Eazy Flickity Slider lets you create responsive sliders, without being overly complex. 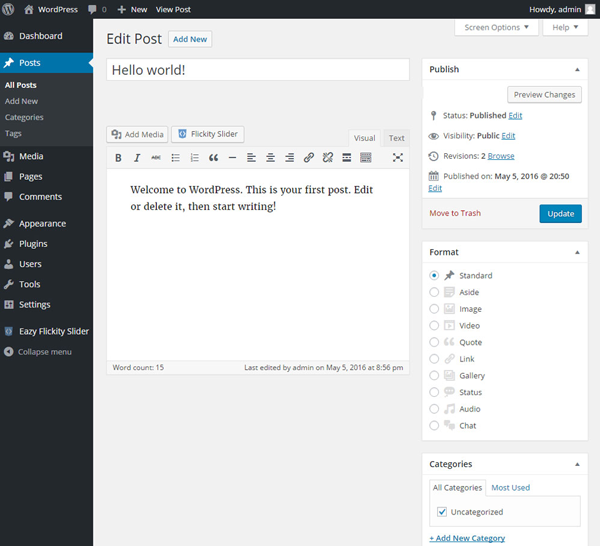 Adding slides is as easy as adding a post. Creating a slider works like adding a post to a category. 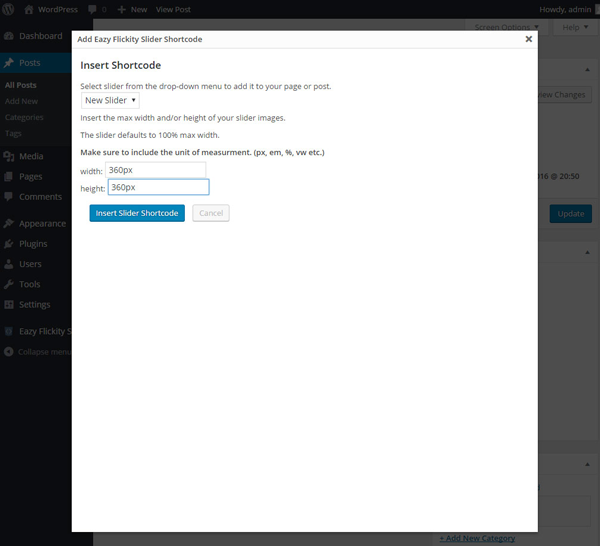 You can then use a shortcode to get the slider to display on your site. There is a shortcode generator that shows up next to the add media button on the edit post & edit page sections of the admin. 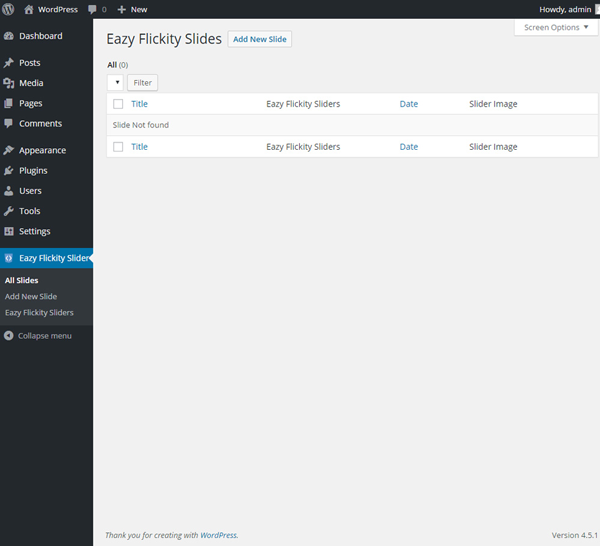 The plugin uses flickity.js by Metafizzy to animate the slider. 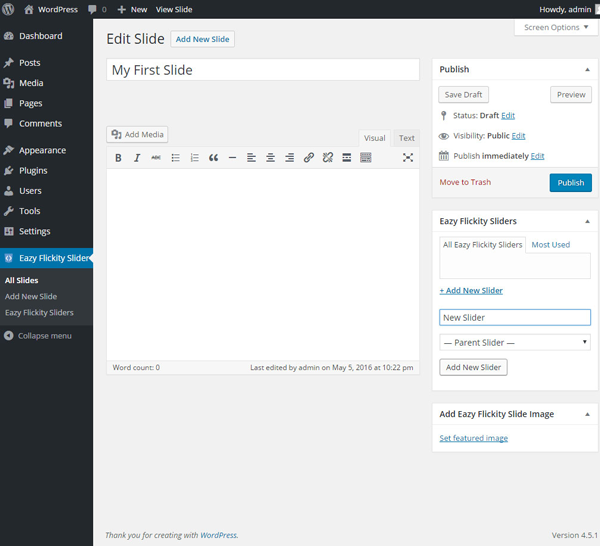 This is an example of Eazy Flickity Slider in use. 4. Add a new slide, just like adding a post. Use the featured image to add the slide image. 5. 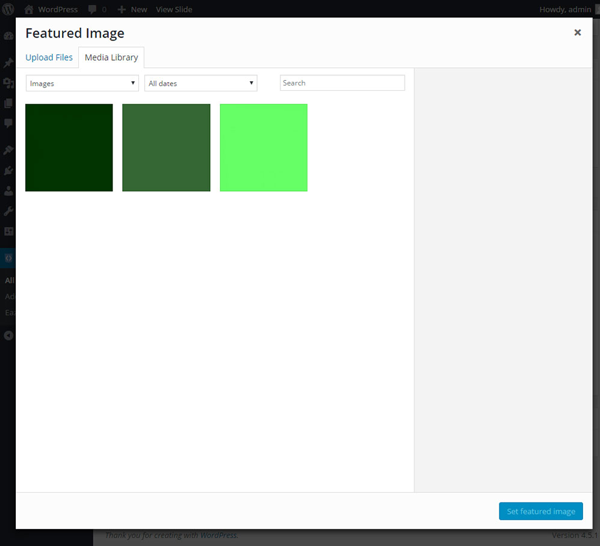 You can group your slides into sliders, like categories on posts. How do I add a slider? 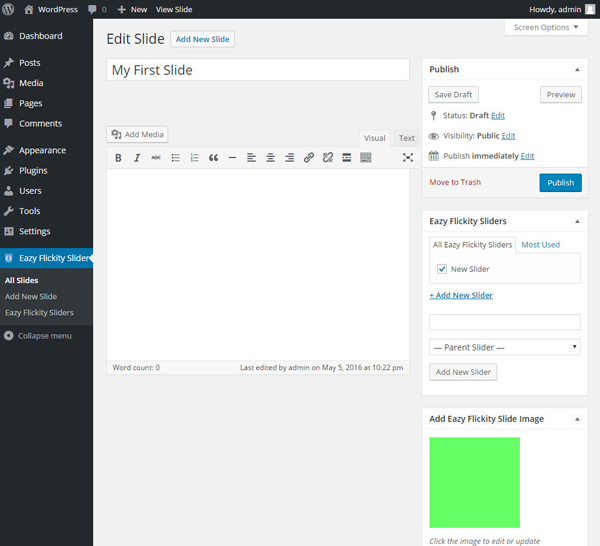 Click on the 'Add New Slide' item under the Eazy Flickity Slider section in your admin. You can add the slider image like you would a post; Give it a title, then navigate to the Eazy Flickity Slider box on the right and either add it to an existing slider or click on add new slider and add one. Add the image using the Add Eazy Flickity Slide Image box below the Eazy Flickity Sliders box. How do I set the size of the slider? How do I set the movement of the slider? 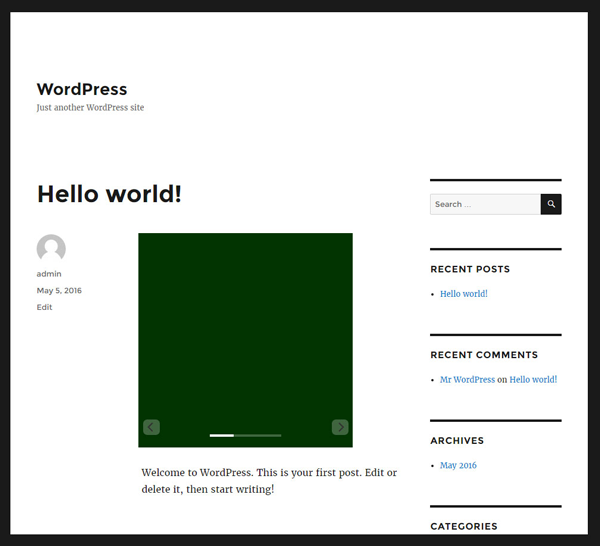 Unfortunately, there are not currently any controls for the slider built into the plugin. You would need to edit eazy-flickity-slider/resources/js/flickity.shortcode.js. You can change these settings using the settings defined by Metafizzy for the flickity.js libray. Update eazy_flickity_slider_shortcode.php to use a variable to store the array from wp_get_attachment_image_src on line ~64. * Initial version of plugin.